tickets in person at M+M (Digbeth Custard Factory) and Polar Bear (Kings Heath) record stores. 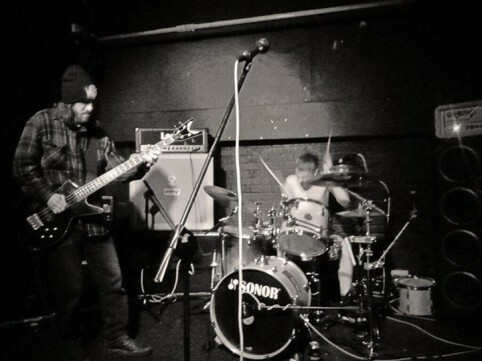 Drums and bass sludge rock duo, GHOLD, have already gained recognition in their short time together, starting in 2012 in Brixton. With a heavy bass line and percussive drums, they pay homage to the early days of Sludge with bands like the Melvins, Karp and Godheadsilo. They’ve already got a string of releases under their belt, which considering their 2 years together, is pretty impressive. 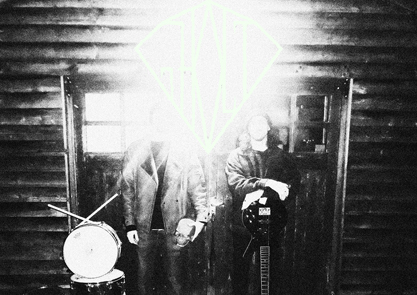 “…Ghold are not your bog standard NOLA worshipping sludge troupe, however. There may only be two of them, but on their debut full-length alone (‘Judas Ghoat’) these guys demonstrate more engaging ideas than many bands do over the course of their entire careers.” – Terrorizer. Our friend Kez Whelan at Terrorizer recently interviewed GHOLD and we’ve picked out a few questions for you below, but be sure to read the full Terrorizer interview HERE. Could you tell us briefly how you both met and formed Ghold? What kind of music are you both into? Who would you cite as influences? You guys are ridiculously tight when playing live. How would you describe the Ghold live show for those who have yet to witness it? Tickets for April 18th event can be bought HERE.